An absolute beauty to behold this big, doe eyed lass is an absolute dream in the making. Her bright, hazel orbs are a treat to gaze into as she happily accepts you into her softest and most welcoming of spots. 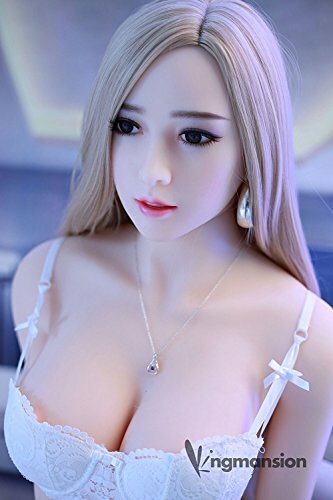 This love doll is quite a treat! Her breasts are impeccable, plump and smooth with perky nips and a neckline worthy of a movie star. The hair atop her lovely head flows in a cascade of gentle curls and shining highlights that feels luxurious to the touch. 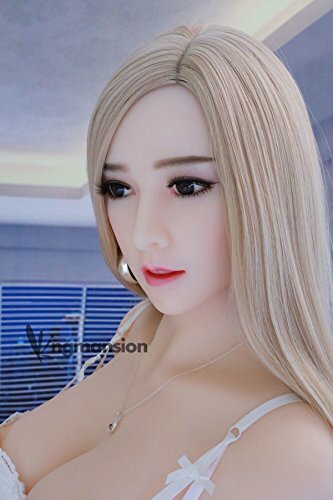 She is completely 3D molded using 100% medical grade silicon with a reinforced inner core for added durability and a posable, full TPE metal skeleton and measures 105cm or about 41in tall. Her flesh is forgiving and lends a most realistic grip to your member no matter which of her three little openings you choose to take advantage of. You’ll never know another girl like this one so make sure she doesn’t get away! To maintain the life of your darling love please remember to wash thoroughly after every play time with mild soaps or cleaners and use only high grade water based personal lubrication to avoid a breakdown in the flesh of you girl. As with all our products, this little lady is discreetly packaged and shipped for the utmost in your privacy.